Catherine Parr will always be known as the queen who got away, the one who outlived the tyrannical King Henry VIII who had divorced two if his wives and beheaded another two. But there is more to this often neglected Queen Consort’s story than that – here is a brief bio of Catherine Parr. Catherine Parr was born in 1512 as the eldest daughter of Sir Thomas Parr, a descendant of Edward III. Her mother, Maud Green, had been a lady-in-waiting to Henry’s first wife, Catherine of Aragon, and so named her daughter after her beloved queen – how ironic! Catherine’s father died when she was five years old and so her education was left to her mother, who educated Catherine to a high standard. Catherine was known for her love of learning and for her fluency in languages such as Latin, French and Italian. Catherine is famous for being the most married English queen because she was married four times. Her first marriage to Edward Borough, son of Sir Thomas Borough and grandson of Edward, 2nd Baron Burgh, took place when she was 17 but was short-lived because he died in the winter/spring of 1532/1533, by April 1533 at the latest. Catherine married her second husband, John Neville 3rd Baron Latymer of Snape, North Yorkshire, in the summer of 1534. During this marriage, Catherine and her stepchildren by Neville were held hostage by the rebels involved in the Pilgrimage of Grace while the rebels forced her husband to join their side. Neville managed to get his wife and children freed and also managed to escape getting caught up with the rebellion and its repercussions. He died in March 1543. In 1543, although Catherine had been widowed twice, she was only 31 and was an attractive lady. She soon caught the eye of Thomas Seymour, brother of Jane Seymour who had died in 1537. Catherine was very taken with Thomas but unfortunately Thomas could not compete with the King, who had also noticed Catherine at court. On July 12th 1543, Catherine Parr became the sixth and final wife of King Henry VIII in a small ceremony at Hampton Court Palace, after a mourning period for Catherine’s second husband. Catherine was an attractive and intelligent woman, who combined the intelligence and wit of Anne Boleyn with the prudence and diplomacy of Catherine of Aragon. She was what Henry needed after the heartbreak of the Catherine Howard marriage. Catherine is known for reuniting Henry’s children with their father and bringing them back to court. Mary was won over by the fact that Catherine’s mother had been a good friend to her own mother, Catherine of Aragon, Edward was young enough not to remember his own mother and to see Catherine as his mother, and even the precocious Elizabeth was won over by Catherine’s warmth and intelligence, and this relationship would be a deep one which lasted until Catherine’s death. This reunification of the family was not just good for the children, it also presented a united front against Henry’s opponents. The belief that Catherine Parr was a glorified nursemaid to the ageing and ill King is a myth. Catherine was an intelligent woman who was an accomplished author (“Prayers Stirring the Mind unto Heavenly Meditations” published in 1545) and Henry even trusted her to act as Regent while he was in France in 1544. She was also a patron of the arts. Her achievements as Queen included bringing the royal family back together and influencing Henry to pass an act giving his daughters the right of succession to the throne. 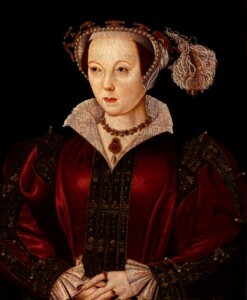 Catherine’s influence over Henry was resented by some at court and there was a conspiracy to remove her from “power”. In 1546, the conservative faction, including Stephen Gardiner and Thomas Wriothesley, used Catherine’s reformist beliefs against her and managed to persuade the King, who had just had an argument with Catherine over religion, to order her arrest. An arrest warrant was drawn up and it was even said that Henry would replace her with Catherine Willoughby, the Duchess of Suffolk and Catherine’s best friend. However, the quick-thinking Catherine Parr managed to save her head by pleading with Henry and persuading him that she had only argued with him in an attempt to help him forget about the pain caused by his leg ulcer and to learn from him. Henry forgave her. In January 1547, King Henry VIII died and Catherine caused a scandal by marrying former love, Thomas Seymour, just months after the King’s death. Catherine became guardian to Princess Elizabeth and Lady Jane Grey was a ward of Thomas, so both girls lived with them. After a scandal involving an alleged sexual relationship between Thomas Seymour and Princess Elizabeth ( he would stroke her buttocks and tickle her! ), Elizabeth was sent away from the family home. On August 30th 1548, Catherine Parr gave birth to her first child, a daughter Mary, at Sudeley Castle in Gloucestershire. She finally had a child of her own but just a few days later, like Jane Seymour, she died of puerperal fever (childbed fever). Catherine was buried at Sudeley Castle, where she still rests today. Her husband, Thomas Seymour, was executed for treason a year later and her daughter was taken by Catherine Willoughby, Duchess of Suffolk. Mary Seymour is believed to have died in early childhood as there are no records about her after the age of 2. If you’re interested in learning more about Catherine Parr, Susan James has written a book devoted to her alone. Click on the book cover above to find out more about the US version or click here to see details of the UK version. P.S. Some sources have Catherine Parr’s death as the 5th September and some as 7th September! NICE! She was so much more than a nurse to Henry and a lot of people do not realize that. Interesting that her death date varies. Alison Weir, Britain’s Royal Family, page 154, says 7 Sep 1584. Charles Mosley, editor, Burke’s Peerage, Baronetage & Knightage, 107th edition, 3 volumes (Wilmington, Delaware, U.S.A.: Burke’s Peerage (Genealogical Books) Ltd, 2003), volume 1, page 587 says Sep 5th. What does Porter, James, and others have to say? Linda Porter says early on the 5th September and Susan James says “between two and three of the clock in the morning” on the 5th. Hey, I just wanted to let you know about the fact that Catherine did not marry the 2nd Baron Borough. Wikipidia had to re-do all the pages. If you read Susan James’, Linda Porter, Starkey, and Weir’s depiction of Catherine — it is the consensus of all of them that she married his grandson, Sir Edward Burgh, heir of Sir Thomas Burgh, son of the “2nd Baron” who was never called to Parliament as such because he was found crazy. “It had been thought that the 2nd Baron married Catherine Parr, who went on to become the sixth wife of Henry VIII, in 1529, when she was age seventeen, but the 2nd Baron died in August of 1528. It is now generally accepted through recent research of documents and the will of Catherine Parr’s mother by biographers Susan James, Linda Porter, David Starkey, and Alison Weir that she married the 2nd Baron’s grandson, who shared his first name. Sir Edward Burgh was the eldest son of the 2nd Baron’s eldest son, Sir Thomas Burgh, who would become the 1st Baron by a new creation in 1529. In her will, dated May 1529, Maud Parr, mentioned Sir Thomas, father of Edward, saying ‘I am indebted to Sir Thomas Borough, knight, for the marriage of my daughter’. At the time of his son’s marriage, Thomas, was thirty-five which would have made Edward around Catherine’s age. Edward was in his twenties and may have been in poor health. Sir Edward Burgh died in the spring of 1533, never fulfilling the title of Lord Burgh. Charles Mosley, editor, Burke’s Peerage, Baronetage & Knightage, 107th edition, 3 volumes (Wilmington, Delaware, U.S.A.: Burke’s Peerage (Genealogical Books) Ltd, 2003), volume 1, page 587. Susan E. James. 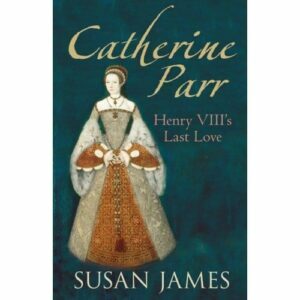 Catherine Parr: Henry VIII’s Last Love. Stroud, Gloucestershire: The History Press. 2009. pg 53-55. Linda Porter. Katherine, the Queen. Macmillan. 2010. Sorry, I didn’t mean to out the 2nd Borough/Burgh but I think it is clear that I’m talking about Edward’s grandson as I say that he was the son of Sir Thomas Burgh – my mistake, not getting his title right, I’ll change that! Yes, the older Edward died in 1528 and was considered to be a lunatic but I have actually never read of him being linked to Catherine Parr in that way, all of the books I have read state that she was married to the younger Edward, son of Thomas. Catherine’s husband was dead by Spring 1533 so died either late 1532 or early 1533, a rather shortlived marriage. Yes, I have Linda Porter, Susan James and Elizabeth Norton’s book plus Starkey, Weir, Loades etc. but I must say that my favourite on Catherine is Linda Lorter’s. What do you think. Ha, just realised that the elder Thomas Burgh also had a father called Thomas so yes my post could be taken as completely inaccurate!! Spring of 1533 was the date. The date of his death is actually not known with most historians believing that he died Winter/Spring 1532/1533, by April 1533. Porter and James have c. 1533. Maud’s will was dated 1529 — she died in 1531 after she had visited her daughter and son-in-law in Gainsborough. So obviously he was not dead yet. He was also mentioned in court documents — ie House of Commons in 1532. Even Richardson’s Plantagenet Ancestry and Magna Carta says b. April 1533. If you are going to put Susan James as a book to read perhaps you should put up what she says or not advertise her book at all, which is by April of 1533. I never said anything about him dying before Maud so I’m not sure what you mean. When this page was written, the only bio of Catherine Parr available was the Susan James one, I would now recommend people read Linda Porter and Catherine Parr too. “If you are going to put Susan James as a book to read perhaps you should put up what she says or not advertise her book at all, which is by April of 1533” – I have changed it to say what I believe which is winter/spring 1532/1533 but I have to say that your comment came across as rather aggressive. I appreciate that you have strong views about Catherine but I think it’s always good to be polite and friendly. I have always been perplexed by Catherine’s behavior while she was Elizabeth’s caretaker after the death of Henry, especially the incident where Thomas cut her dress. I simply don’t understand what could have possibly been going on in the woman’s mind. I also feel shocked at her behaviours when she was Elizabeth’s guardian. But here is my theory. She knew her handsome, womanising husband had his eye on the teenage Elizabeth, so whenever she saw he was getting too close to her, she intervened and turned his flirting opportunities into innocent, family fun and games. Sort of like pouring a bucket of water on two people about to get intimate and bringing in a bunch of clowns etc. Cramping his style, basically. I am not too sure whether Katherine was pregnant at the time of these incidents, but perhaps her fluctuating hormones were making her behave out of character? We cannot know for sure. But those are my views, anyway. Hope that has been of help. I should imagine she was just letting her hair down and having fun Jane, imagine being married to Henry with all the stress and worry that came with it? Now she was free fron the image of the axe at last and could wake up every morning without worrying if it was to be her last, she was happily married and like many wives before and since she probably thought that her husband couldn’t be interested in Elizabeth as she was only about fourteen at the time, slim and flat chested whereas Catherine was a mature woman and the same age as her husband, she was content and the thought never entered her head that he had designs on Elizabeth, Seymour was playing with fire there I also doubt that Elizabeth enjoyed these games and found it rather embarrassing, imagine being fourteen years old and your step dad starts flirting with you , for one thing he was thirty years older than her and she must have felt very uncomfortable around him, it’s a form of sexual harassment really, a more mature woman could have handled the situation better, he used to come into her bedroom and tried to grab her and kiss her he had no sense of discretion, no wonder he ended up on the block, a very foolish man indeed. Also, there is another lock of her hair which I have seen on the internet which shows her hair to be a bright blonde colour, in a wooden locket, so different to the hair in Sudeley. Could this be fake? Or could Katherine have tried out the Renaissance trend of lightening her hair with lye and other ingredients? Iv always considered that Catherine was the best looking of Henrys wives, she’s got a pleasant found little face, snub nose and rosebud mouth, small features make you look more delicate and kind, in her portrait she looks anxious which is highly understandable, very sad that she married for love afterwards then died in childbirth but many women did, I have visited Sudeley Castle it’s a lovely place and very tranquil.